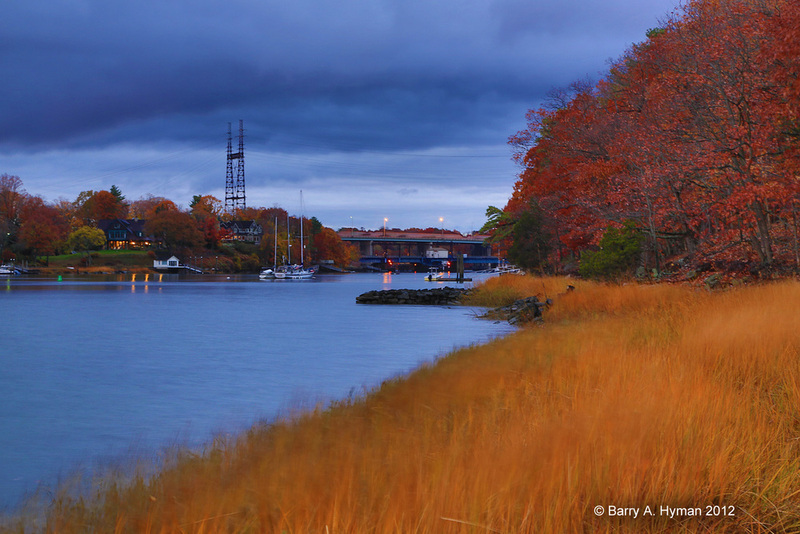 Autumn sunset along the Saugatuck River in Westport, CT.
Barry A. Hyman photography is featured on the front cover of the Fall/Winter 2013 Connecticut Edition of the Award Winning Halstead Property Portfolio Magazine. 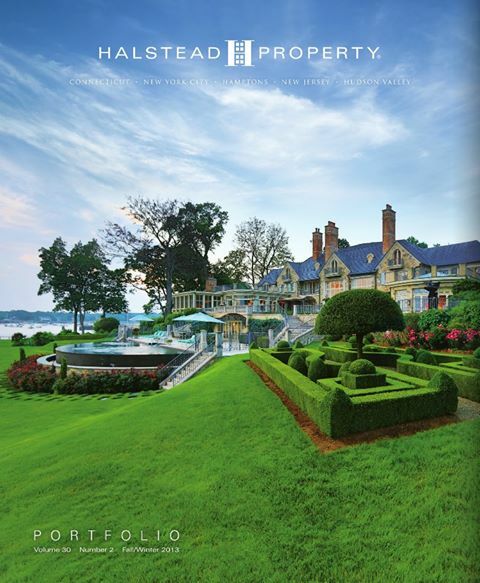 The Award-Winning Halstead Portfolio showcased one of my sunset shots of this gorgeous Connecticut home overlooking Long Island Sound on the cover of the Spring/Summer 2013 Halstead Portfolio Magazine CT Edition. Known as the Yale Whale, the David S. Ingalls Rink was designed by architect Eero Saarinen and built between 1953 and 1958 for Yale University. 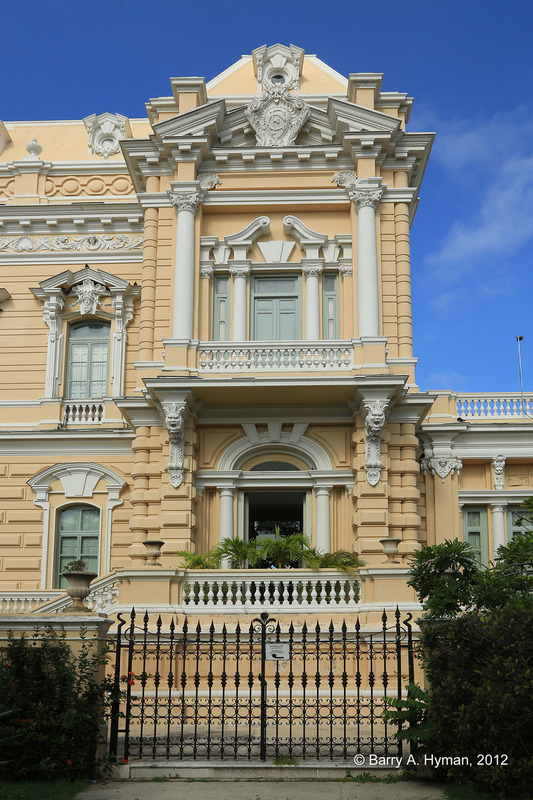 The Regional Museum of Anthropology in Merida Mexico is housed in one of the most beautiful palaces of Paseo de Montejo. It also has some of the most exclusive artifacts from the Maya civilization to present day on display. While traveling through Westport one evening, I stopped to photograph and capture the reflections off Sherwood Mill pond. This shot was featured on the WestportNow website in September. WestportNow is Westport, Connecticut’s 24/7 news and information source, offering insights into Westport-related news and news of interest to Westporters. It attracts more readers on a weekly basis than any other print or online Westport-based publication. 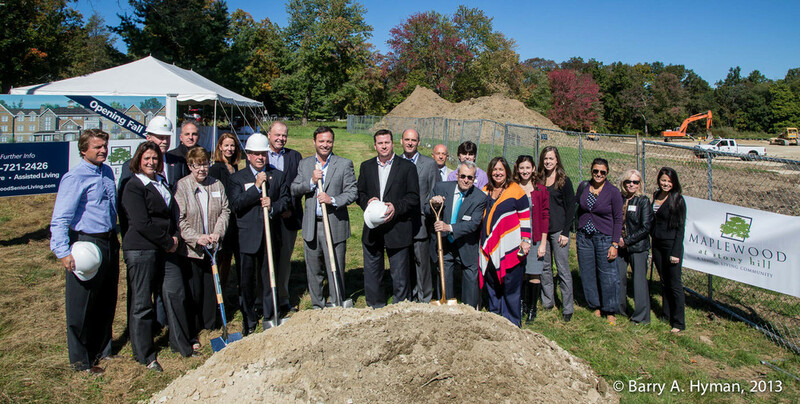 On a crisp fall morning, Barry A. Hyman was honored to photograph the groundbreaking ceremony of Maplewood Senior Living’s property in Bethel, Connecticut called Maplewood at Stony Hill. The property will include 84 units and be fully dedicated to offering memory care. The building will consist of a mix of studio and one-bedroom apartments, and it will also be home to multiple, distinct “neighborhoods” for those who are living with Alzheimer’s disease and other forms of dementia. 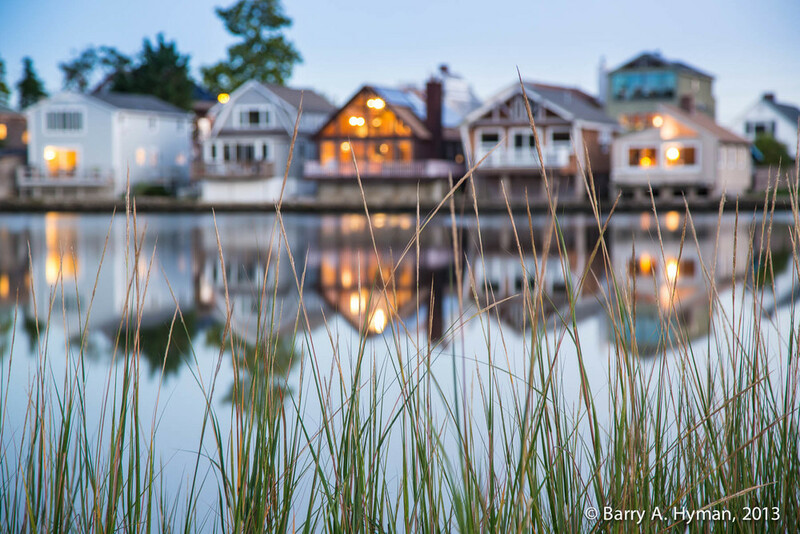 When Vicente-Burin Architects, an award winning architecture firm specializing in custom residential design, wanted to showcase this stunning home in Darien Connecticut, they called Westport-based architectural photographer Barry A. Hyman. This luxurious master bathroom suite is one of the many exquisite shots captured by Barry. This architectural detail showed up recently when I was photographing a home in Darien Connecticut. A photo a day, eh? Just back from Tulum,, although we did take a lovely side trip to Valladolid, Mexico. Folks were way cool as we walked around and took some photos! Sometimes a building is just too pretty to pass up. Kroon Hall, home to the Yale School of Forestry & Environmental Studies is just such a building. Here is one view I shot earlier this month, I plan to go back through the seasons. 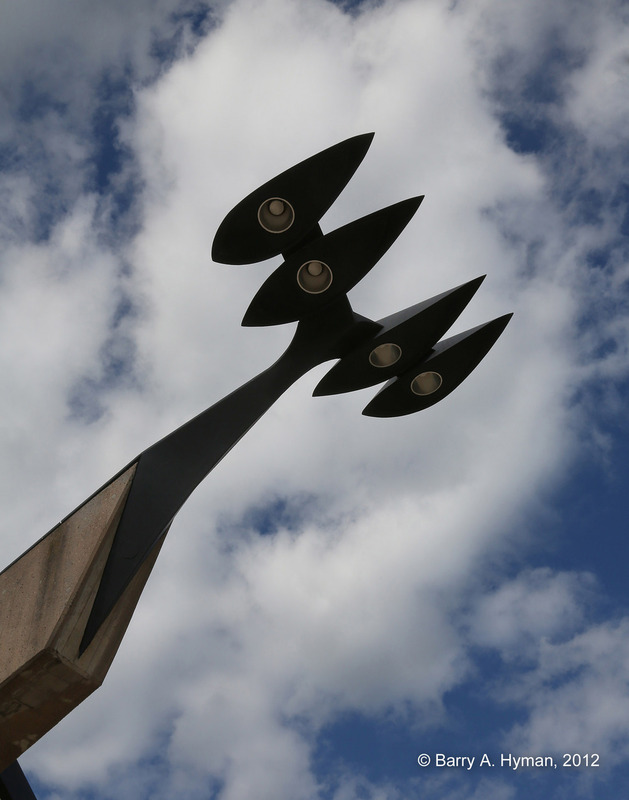 Here's a link out the Design page on the Yale website. One of my favorite clients is Maplewood Senior Living. Based here in Westport CT, Maplewood owns and operates a growing number of Senior Living Centers here in Fairfield county and beyond. Maplewood's team of professionals always strive to create the best possible lifestyle and environment for the folks that live there. From architecture to food and activities Maplewood communities stand apart. 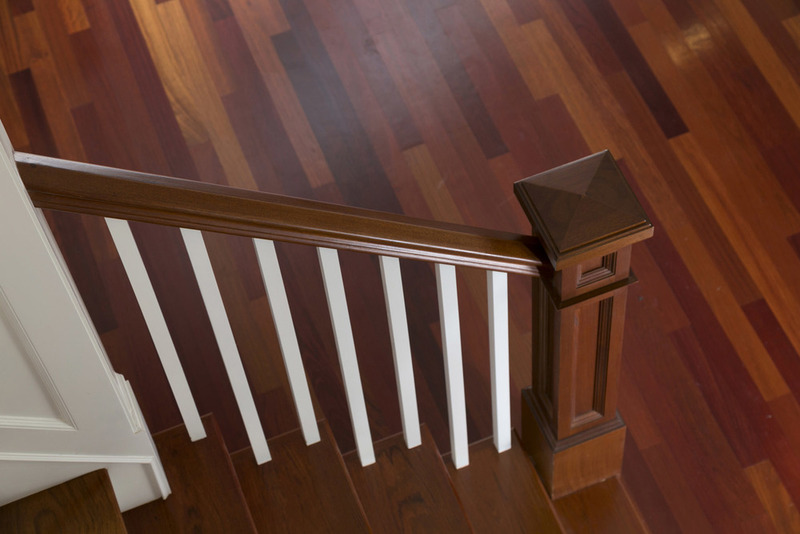 Entryway and Living Room at Maplewood Darien. Happy pictures of happy people. So it looks like I've succumbed to the inevitable and bought an iPhone 5. It makes sense, I get this one, Leslie gets my 4s and so on down the line. But I could not bring the phone into rotation without taking a nice photo. I had a vision, the old with the new, perhaps something off of an aged piece of wood, the type one no longer finds, 8" maybe 10" wide. So I called my friend John Dumke, a local builder and owner of Sterling Builders, here in Westport. We worked with some wood he had in his barn. The shots were nice, but not what we had hoped. What I didn't know was that John is quite the Art Director. He suggested we work with one of his old tool boxes. Took the tool box, put it on the wood plank, tweaked the lighting just a bit. I think to a fine result. Set on a lovely lot in the center of Greens Farms, this house was built.